In warmer parts of the country, clay tile roofing is common. Roofers lay down these tiles in courses, or rows, that overlap across your roof. The tiles protect the thick, waterproof underlayment that lies beneath them from the elements. 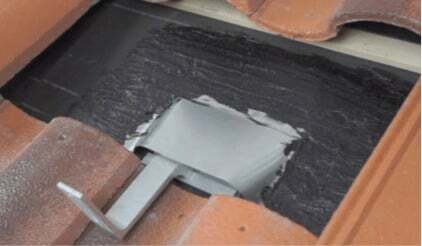 For clay tile roofs, installers will use special flashings that feature a hook attachment. The hook extends out from between clay tiles and provides an attachment point for aluminum rails. 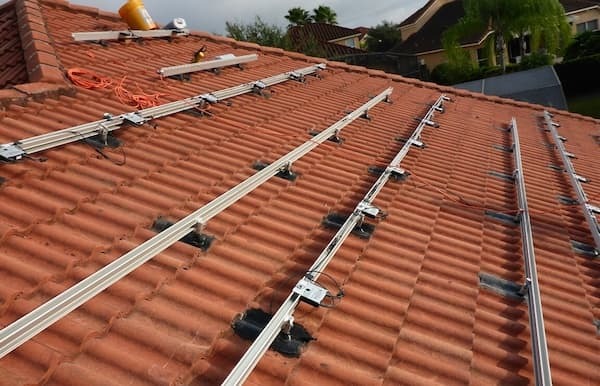 The solar panels are placed on top of the rails ,securely connected with clamps. A special consideration for clay tile roofs is age. Some older clay tile roofs are too brittle to work with and may need to be replaced before you can install your solar array.